Now that the ground hog has seen his shadow, we are gearing up for warmer weather and getting started on some fun landscape projects! During the Winter the CG family spends a lot of time reorganizing and looking for ways we can better care for our clients properties and train on new techniques and new products. 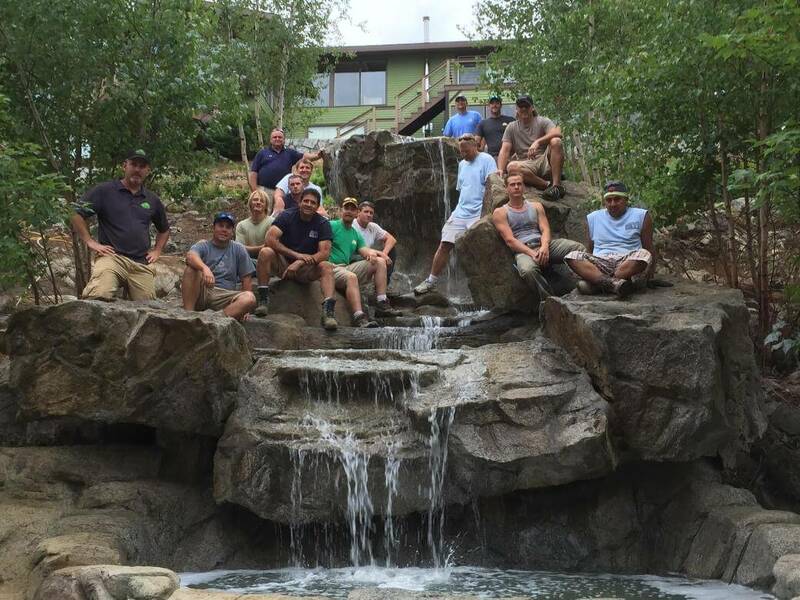 This past year Jon, Jesse and Griff braved the roads and headed to New Hampshire to the StoneMaker’s HQ to build a beautiful waterfall and fire pit with their patented concrete product that they carved and sculpted to look like materials found in nature. A project this size would have easily taken over a week with several teams in place. This was all completed in one day! I know, I know.. Takes my breath away, too. We can’t wait to bring it back here to Hampton Roads and create some beautiful outdoor features. 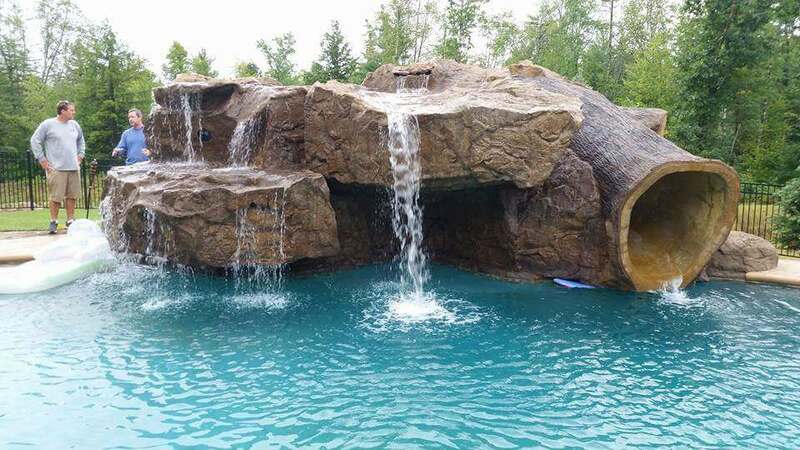 The price point is also much easier on the wallet because less manhours are involved and the concrete product is molded or sculpted to any shape or variation of rock, boulder or even tree imaginable. Yep- even trees! We are planning a sneak peak this year at the W&M Home Show March 12-13th!! 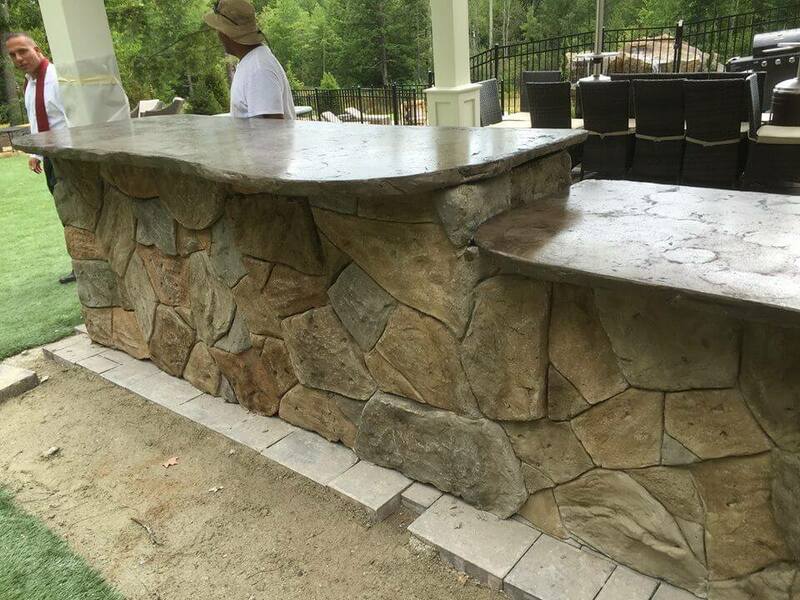 Here’s a picture of the outdoor kitchen they built the next day at a different property. Amazing to think all of that was created by pouring concrete into panels and adding washes of color in layers that give subtle variations and add to the authentic look and “feel” of natural stone. You can learn more about the product and get inspired by more projects using the Stone Makers product here. Can’t wait to show off this new product! Call us about scheduling an appointment to see more pics and learn more about this innovative and inexpensive way to create your own unique outdoor oasis. It’s sure to please!